THOR-OP is a highly modular system that employs many dynamixel servo chains to simulate human kinematics. While one of the small robots at the DRC Trials, THOR OP proved capable of effectively competing in most tasks, with its reliable, straightforward approach. 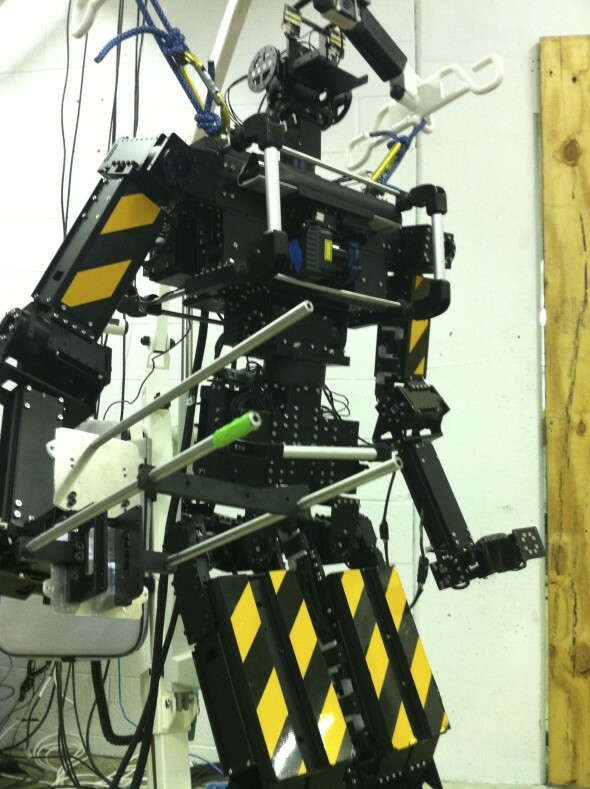 The robot was versatile in its use of multiple end-effectors, which was beneficial for completing the vastly differing tasks, such as the Valve and Hose tasks. The eight tasks were as follows: Drill, Door, Valve, Hose, Debris, Driving, Terrain, and Ladder. Full task descriptions and an event overview can be found at this website: http://www.theroboticschallenge.org. Each team was given half an hour to complete each task, and the human operators of the robot were required to remotely operate the machine from over 100 meters away, without observing the robots actions first-hand. In addition, DARPA slowed the communication rate and added interference to the signals to simulate real-world disaster scenarios. THOR-OP competed in all the tasks, earning points in the Door, Valve, Hose, Driving, and Ladder tasks. In addition, THOR-OP received recognition for being the “Best in Task” for the Valve task, completing the event in just over fifteen minutes. The DRC Finals will be held in December of 2014. Dec 26, 2013 | Filed under DRC, Uncategorized and tagged with jongreco.